Here, we chat with Alex Prud’homme, Julia Child’s great-nephew – and author of The French Chef in America: Julia Child’s Second Act – on the fame, food and struggles Child endured in the latter half of her life. Julia Child wasn’t the first TV chef or perhaps even the most famous, but she’s certainly the one who made the greatest impact, introducing North American audiences to the delights of French cuisine while cultivating eager “foodies” decades before the term was coined. By her early 60s, though, Child’s second act began to take shape, including a return to America, the penning of more personal cookbooks, helming new television shows – including regular appearances on Good Morning America – and becoming more popular than she could have imagined. At the same time her husband Paul’s ill health and eventual passing threw her personal life into flux. In The French Chef in America: Julia Child’s Second Act, the sequel to her posthumous 2006 memoir, My Life In France, Child’s great-nephew Alex Prud’homme (who helped write the memoir) takes readers through the fame, food and struggles Child endured in the latter half of her life. Zoomer recently caught up with Prud’homme. MIKE CRISOLAGO: What, in your mind, makes Julia Child’s second act so compelling? ALEX PRUD’HOMME: First of all, the fact that she never really talked about it and nobody really kind of recognised it. I didn’t even know she had this whole second career until I kind of returned to the questions that had been lingering in my mind after I wrote her memoir. The second thing is that she did this in her 60s. 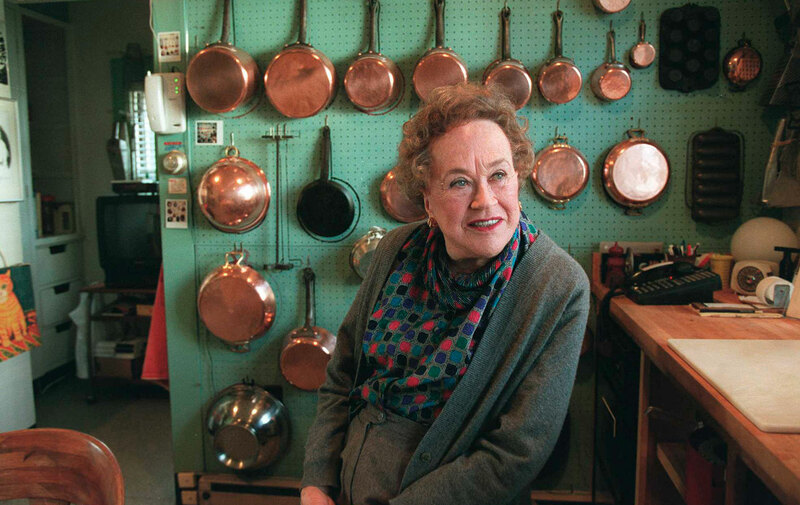 In 1975, when a book called From Julia Child’s Kitchen was published, she was 63. And that was kind of the watershed moment – the first time she didn’t work with a co-writer, that she used that first person voice, which didn’t come easily to her. It was really her editor, Judith Jones, who pushed her to tell personal stories in the first person and she began to develop this voice on the page, which was sort of a version of her television persona. At the end of the decade, in 1978-79, she left public television and joined Good Morning America, which was a very commercial operation. And that was really hard but she did it and, amazingly enough, created a larger audience than ever. So it’s just a really kind of inspiring journey. At a time when most people are planning their retirement, she’s reinventing herself and reaching the peak of her celebrity. MC: At the same time she endured her husband’s ill health and passing. What can we learn from Julia about navigating second act setbacks? AP: Paul had this bypass operation that didn’t go well. It was some of the darkest times of their lives and it happened at the moment when she was beginning to take off on this second career. But it forced her to get that book done, From Julia Child’s Kitchen, and kind of re-think herself. And gave her a structure to her life. I think probably her biggest legacy is this very positive, optimistic, can-do spirit that she had. She always said ‘If I can do it, you can do it.’ It’s bœuf bourguignon – it sounds fancy but it’s just beef stew. And she applied that worldview to cooking, but one can apply it to anything in life. And I think it gave people permission to take risks and not be afraid of failure. MC: You’ve enjoyed meals cooked by Julia Child many times. What is that like? AP: It was just pure pleasure [Laughs]. I start the book remembering the summer of ’76, when we were visiting the Childs at La Pitchoune, their little house outside of Cannes, and we were sitting on the terrace and Paul was giving us the play-by-play on the gold medal round of the boxing [from the Montreal Olympics on TV] and, in the corner, Julia was preparing this unbelievably delicious chicken that she had marinated in an herb marinade, and then was cooking, one piece at a time, on this tiny sizzling Hibachi. And I just remember that meal being kind of transporting. I think it was a combination of the place we were in, the people we were with, the mood, hot summer day ’76. It was just a magical moment. MC: Did Julia ever make a meal you didn’t like? AP: Oh, yeah, sure. One thing about Julia was she would throw together these dinner parties in Cambridge and you’d never know who was going to be there. The first time I brought my then-girlfriend, now-wife [for dinner], sitting to my right was a famous chef and to my left was a woman who Julia had literally just met in the gas station. I remember she had kind of a bizarre menu because she was always experimenting. So that night we had a Smithfield ham, which is a very salty, preserved ham, with some brioche or something. It just wasn’t a natural fit. And then asparagus that had been kind of burnt a little bit [Laughs]. And she insisted that we all eat the asparagus with our fingers. MC: What do you think Julia would make of the food culture today, with celebrity chefs and reality shows? AP: I think on the one hand, she’d be disappointed because it’s all about this kind of pro-competition and soap opera melodrama and stuff, whereas she called cooking a civilised art, and she loved it for its camaraderie and its creativity. And on the other hand I think she’d be delighted to see how many people love food and consider themselves foodies now and go out to eat or cook at home and are into it. So I think she would’ve had mixed feelings. MC: You’ve noted that, toward the end of Julia’s life, as you worked on My Life in France, she didn’t like to open up and talk about herself until you started reading from Paul’s letters that he’d written to his brother – your grandfather – about their life in France between 1948 and 1954. AP: [The letters] allowed her to talk about their lives in Paris, and about herself, without being too direct about it. Some of those letters were so evocative that they brought her back to that moment and she began to talk about them in the present tense, as if she were reliving the moment, which was extraordinary to see. And it’s a technique that I recommend to people who have family members with great stories, if you can get a hold of old diaries or old letters. In those formative years I think those memories get kind of locked into your brain. It was just a wonderful process and we ate well together and we had a lot of laughs. MC: Is there any particular memory of Julia and your time with her that stands out to you? AP: One of them was when we worked together on her memoir. We would go out and get a hamburger once in a while. And so she would say, ‘Well, let’s go eat it with a view.’ So one day I was driving along and we saw a road leading up to the ocean and it said ‘Private.’ And I said, ‘Well Julia, we can’t go up that road.’ And she said, ‘Oh, sure we can. No one will bother us, and if they do we’ll say we’re looking for Mrs. Newton McGillicuddy.’ [Laughs] We drove up and we had our hamburger overlooking the Pacific. It was absolutely perfect. Nobody bothered us. And it was just a great Julia moment. The French Chef in America is available in stores and online.